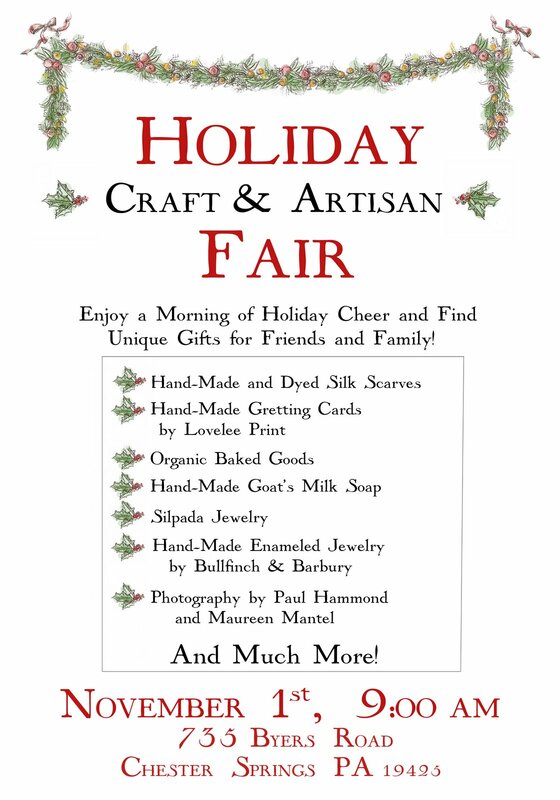 This Saturday (Nov. 1), my friend Sunny has organized a craft and artisan fair at her house in Chester Springs, PA! I’ve made a ton of new items just for the occasion – including some new necklaces that I am really excited about. Another local Etsier will be there as well: LoveleePrint! I am excited to see her hand-made greeting cards in person! On top of my Halloween Dinner Party, this might be a great, big bite of the more-than-you-can-chew – but it’s sure to be a fun way to get a head start on holiday gift shopping! I will be there – though I can’t guarantee that I will be entirely conscious (and I might even still have my Marie Antoinette costume on from the night before)! >Breathtaking work, wish I was closer to Philly!